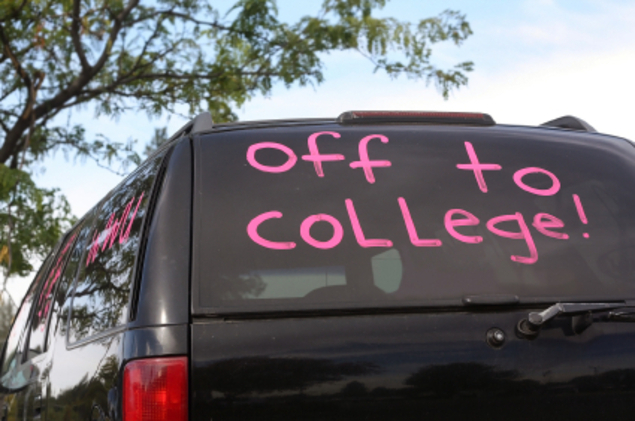 Though you may feel like the college admissions process is over, there are still important fall preparations you need to make! Register for classes sooner than later so that you can ensure you have as many options as possible for a well-balanced schedule and convenient class times. You don’t want to end up with all difficult courses one semester and easier electives piled on the next. It’s best to balance out the challenging with the more enjoyable courses. Additionally, many students prefer certain course times. Depending on what type of student you are, you may find it beneficial to have courses back to back or, perhaps, you’d like your courses spread out over the day. Make sure to consider factors like distance between each course location so you won’t stress all semester about getting to courses on time. Keep registration deadlines in mind! You can keep better track of such deadlines by reading all correspondence from your college within a timely manner. The information will let you know when you’re able to begin registering for courses and the date you must register by. It’s also important to note the deadlines for adding or dropping courses. This will come during the fall semester, but it’s still an important deadline to note. If you’re hoping to take a course with a particular professor, planning out your class goals ahead of time is helpful so that you can make sure you’re taking the correct courses with a desired professor. Popular professors often have courses that fill up quite quickly so going into registration with set ideas about what you’re looking to accomplish makes it easier to keep your schedule on track. You’ll need to submit your housing preferences, which entails choosing whether or not you would like to be matched to a roommate or room with someone you already know. Once you decide, you should connect with your future roommate to determine what items each of you will bring to the room so that, come move-in day, you will have a smooth transition. Additionally, once you connect with your roommate, it’s important to discuss your future living situation and set roommate agreements and other living expectations. Again, housing preferences will be due by a certain date. In order to make sure you’re able to get your housing preference, know the deadline! If you’re living on campus, choosing a meal plan can be an important factor. Your college will likely have several options, which vary in cost. Thinking about and anticipating your meal times, how often you’ll actually utilize your meal plan and whether or not the meal plans offered have options you’ll enjoy are all important factors to consider when choosing which meal plan is right for you. It can be helpful to sign up for a student account with the local bank branch in the area. Students often get rewards for signing up and maintaining accounts with banks affiliated with their college. Having a bank nearby is always a smart decision because you will be able to contact them easily should any questions arise regarding payments, accounts and loans.